I have this voice inside of me. It’s only now beginning to speak. It’s only now able to ask for what I need. It is only now finding the words, reaching through the voices that have been with me since childhood. When we are babies, our needs are simple and our voice is simple. When we are hungry, we cry. When we are tired, we cry. When we wet ourselves, we cry. As we mature, we gain the ability to say more, ask for more, express more. At the same time, our needs evolve, and so does the voice that grows within. I am forty-six years old. It has taken these years for this voice to develop. If I had lived to only thirty-five, I would not have felt the emergence of this voice. I would not have reached this developmental milestone, would never have known what this new stage feels like. Some of have said that we have emotions of which we never speak simply because we don’t have the words to describe them. Perhaps we all are waiting for the voice inside to find a way to express what truly matters to us. It is not the voice of raw childishness (“I want” “pay attention to me”), nor is it the voice of rational adulthood (“you can’t” “you shouldn’t”), but rather a third voice that can only emerge when the time is right. In the Bible, Jesus says “Ask and it will be given to you; seek and you will find; knock and the door will be opened to you.” These are good words to live by, but it seems that Jesus glossed over an important point. How can you ask for something when you don’t know the words to frame the question? 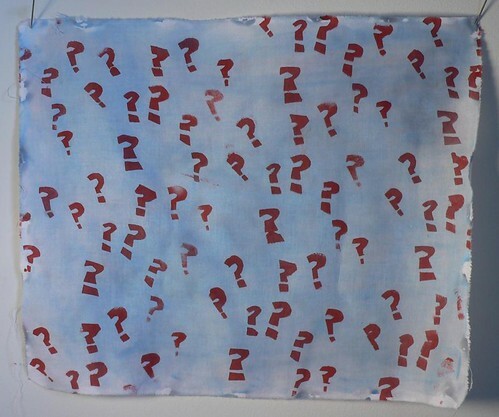 Without a voice with the ability to express the need, the searching question lingers inside you, unformed. I have this voice inside of me. It’s development is something over which I’ve no control. It has simply appeared and is with me now. It’s as if I were to suddenly grow a third arm, the seeds of which have been with me since birth. What should I then do with this new arm? Should I have it cut off because it’s “not normal”? Or should I make the best use of it that I can? This voice has been silent all these years. I can feel it as it stretches, reaching for the words, finding the way to express what I need and formulating the right questions. If the eyes are the window to the soul, then the voice is the door. And the door is opening. I will listen as the voice speaks. I will give it the room it needs to grow, hushing the other voices that are louder and have been with me longer. I will hear what it’s saying and trust that it knows of which it speaks. Maybe, just maybe, it will become a friend and companion for this second half of my life. I have a wristband. 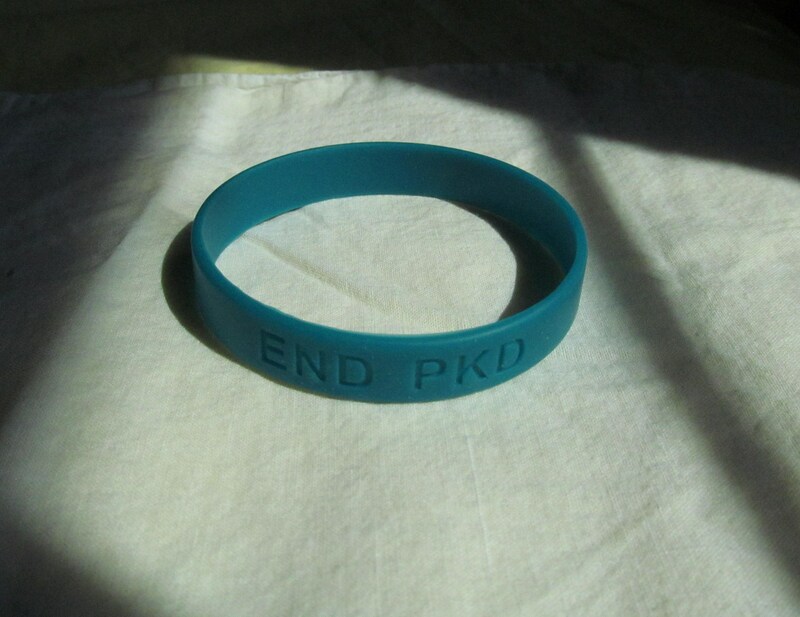 It’s one of those silicone rubber types, in a teal green color, and in six letters it delivers a simple message: END PKD. When I wear my wristband, no one asks about it. It is overlooked, much like the disease it represents, a genetic disorder that is one of the four leading causes of kidney failure in the nation. Polycystic kidney disease, or PKD, affects millions of people worldwide. My wife suffers from it. Cysts filled her kidneys to the point where they became more than twice their normal size and began to cease functioning. There is no cure for PKD. The outcome is always the same: sooner or later, the sufferer reaches end stage renal failure. At that point, the only options are dialysis or an organ transplant. Last year, my wife, who is in her mid-forties, received the news that her kidneys were failing. She was put on the national organ transplant waitlist but we both knew that waiting for a donor to come forward was a long shot. The idea of spending years dependent on dialysis seemed both unpleasant and medically less than ideal. A living kidney donation, we were told, was the best alternative. But whose kidney? In February of this year, I decided to offer myself as a potential donor. If I said it was an easy decision to make, I’d be lying, since there were many factors to consider. We do not share the same blood type and we are obviously unrelated, so I thought it might not work out. But making the offer and getting screened was a small act that felt like the right thing to do. As it turned out, the screening showed I was a suitable match. On August 15, we had the transplant surgery. I came to believe it to be a way to move forward and do something positive for her, for our children, and for our families. As you read this, my kidney is working in my wife in place of the ones that PKD destroyed. However, this does not end PKD for her or for the population. Much has yet to be done to understand how the disease works. Current research holds out hope that, by reducing cyst growth with appropriate medication, those with the disease can delay end stage renal failure and live with their own kidneys for as long as possible. Today is National Polycystic Kidney Disease Awareness Day. I am wearing my wristband both as a symbol of where we’ve been and as a reminder of what we still need to do. If you see me, ask me about it. I’ll be happy to tell you what it means.